An integral part of Dal-Tile Corporation, Daltile has been recognized as being synonymous with quality and value for over 40 years. As a leading manufacturer of ceramic wall, floor and mosaic tile, Daltile is a well-respected and emulated brand and a dominant force nationally. 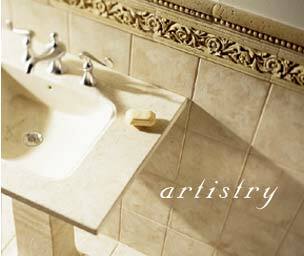 And because Daltile has been a successful part of the industry for so many years, you can always buy with confidence. The Daltile brand is primarily distributed through a network of more than 230 Company-operated Sales Centers throughout North America. In addition to the sales center staff, the brand is supported by a sales force numbering over 100 people - the largest in the industry. This size allows Daltile to be one of the most accessible names in the business.